With the Cadillac CTS-V reportedly leaked in images with redesigned body and big exhaust, we might think that the American luxury pushes things further and further with this model. 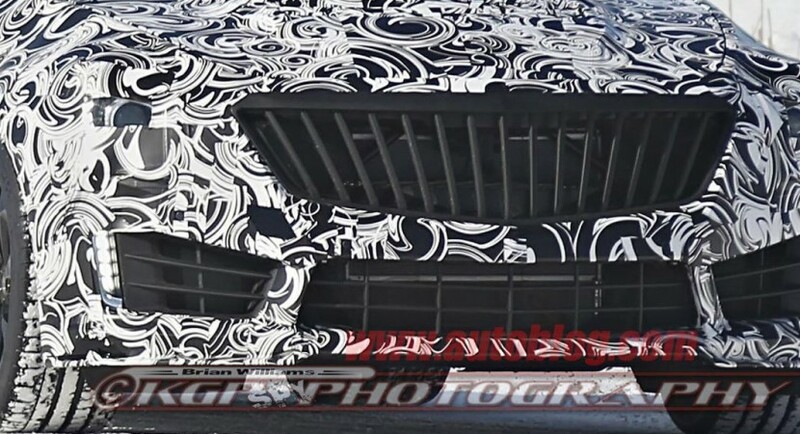 The images reveal a more aggressive Cadillac CTS-V sedan, with some heavy and big quad-exhaust pipes, and perhaps with a new face for the “V-badged Caddies”. The prototype presented here also comes with some difficult to deal all-new grille and a vertical-bar treatment, that might become standard for production. This sort of treatment was also spotted on other prototypes like the smaller ATS-V sedan, with the V-series to sport some special differentiation from the standard vehicles. Apart from the monster face, the Cadillac CTS-V is also said to come with supercharged engine under the hood. I am talking about a huge unit 6.2-liter V8 taken from General Motors, with some increase in ponies than the standard model that already produces a massive 556 hp and 551 lb-ft of torque. This wouldn’t be bad, since its direct competitor, the Mercedes-Benz E63 AMG is developing a rough 550 hp and 590 lb-ft. 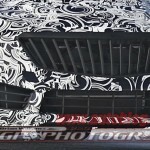 Since this only a prototype of the new Cadillac CTS-V version, we might expect the car on the production line next year. That would be the 2016 model to be launched in the 2015 auto shows.